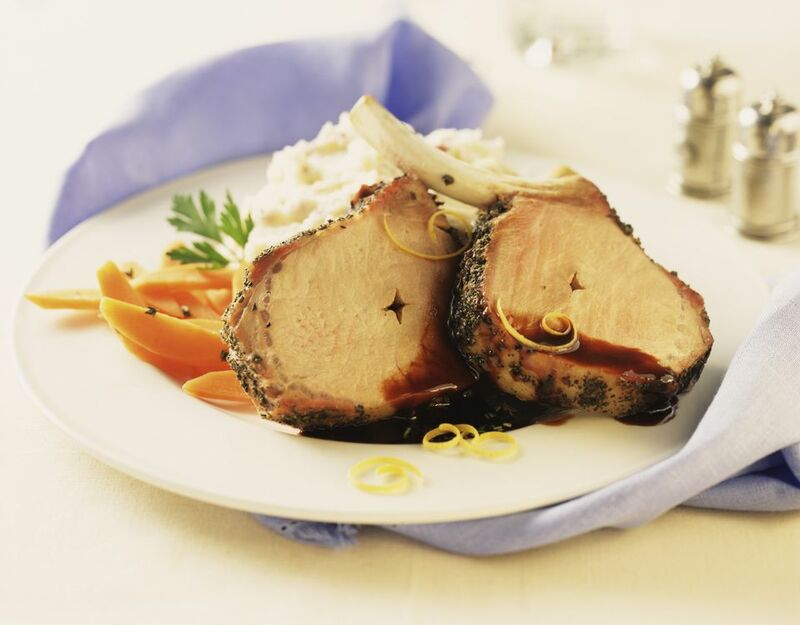 Boneless pork loin roast is studded with garlic and then marinated in a fresh garlic, ginger, onion, and honey mixture. The result is a wonderful gentle flavoring of garlic and ginger. If you like a stronger flavor, feel free to increase those two main marinade ingredients. Recipe is easily doubled. Cut 1 clove of the garlic lengthwise into thin slivers (like toothpicks). Use a skewer to poke holes all around the pork roast. Stuff holes with the slivers of garlic. Set aside. Force the remaining clove of garlic through a into a large, freezer zip-top bag. Add the onion, lime juice, honey, Worcestershire sauce, mustard, and ginger to the garlic. Squish the bag to combine the marinade ingredients. Add the garlic-studded pork loin roast to the marinade in the bag. Squeeze out all the air and seal. Turn the bag over and over so the roast is surrounded by the marinade. Refrigerate for 8 hours or overnight. Remove pork roast from the refrigerator 1 hour before cooking and let it come to room temperature in the bag. Preheat oven to 350 F. Line a roasting pan with heavy foil. Place the pork roast in the prepared pan. Top with the marinade and sprinkle with salt and pepper. Bake, uncovered, for 1 hour and 45 minutes. Remove from oven, cover with foil, and let rest for 30 minutes before slicing to serve.